If you are a blogger and are looking for a marketing company to help you promote coupons, deals, exclusive offers, and more, look no further than ShopHer Media! 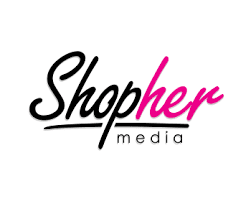 ShopHer Media is a great company to work with! You sign up as a blogger in their program and they send you links to promote on your blog. They call this Influencer Marketing and it helps you earn a little bit of money on your blog! ShopHer Media is a digital shopper marketing platform that connects brands with women actively seeking guidance on shopping decisions for themselves and their families. Focus is contextually relevant advertising for in-store purchases, retailer event awareness, coupons, engagement, sample trials, loyalty acquisitions, promotions/sweeps. ShopHer Media works with some of the largest brands and has grown tremendously over the years. ShopHer Media is based in Ft. Lauderdale, Florida and reaches over 40 million household shoppers through its technologies and platform of influencers, mommy bloggers, and women-focused media to increase loyalty and deliver purchases for major marketers.